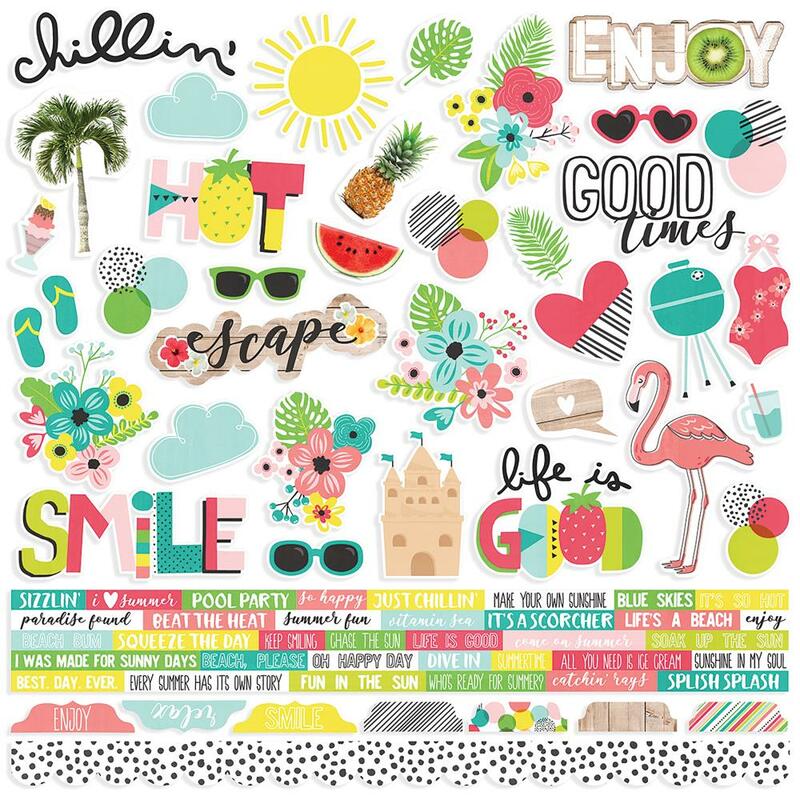 This 12x12 Sticker Sheet has an assortment of Icons, Borders, Tabs, Labels, etc to help you embellish & accent your Crafty Projects. Part of the Hello Summer Collection by Simple Stories. Look for coordinating 12x12 Sticker Sheet, ChipBoard Elements, 4"x 6" Sticker Sheet and a variety of 12x12 Designer Papers.